We are the Greater Dayton area's premier tree service company, serving Montgomery, Miami, Greene, and Warren counties. We are a customer service business that just happens to be in the tree business - our customers are our #1 priority. The next time you need tree work, please give the tree service Dayton residents have trusted and depended on since 2001. 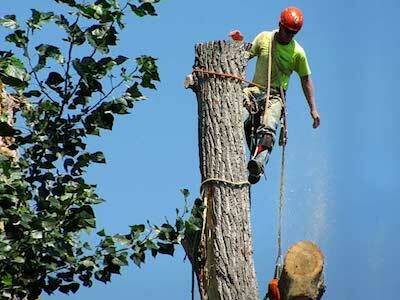 We are a team arborists and tree care professionals with a combined 45 years of experience. Our family run and operated business started in 2001 with one truck and a few chainsaws. Today we operate across the entire Dayton, OH area with 13 employees and equipment we never dreamed of owning. We treat each customer like we do our family and each tree like it was in our landscape. We are licensed and insured operating with the utmost integrity and honesty. Our company was founded to provide expert tree care at affordable prices, and to offer the best customer service in the business. To meet this mission, we only hire the most professional and experienced employees, many with over 20 years of tree care experience. Our employees are background checked and drug screened as well as annually signing a professional code of conduct. Our management team has almost 50 years of combined experience and has provided tree care services across the Midwest and mid-Atlantic states. All in all, we believe we have not only on the best employees and management in the industry but the best in the entire Dayton area, regardless of business type. We own and operate the best equipment in the area - our equipment is literally the tools of our trade. From our Stihl chainsaws to Morbark stump grinders, all of our equipment is newer, properly maintained, and thanks to our loyal customers, well used. For larger jobs, we utilize our cranes, cherry pickers, and of course on most every job one of Vermeer wood chippers. With the benefit of our heavy equipment, we are able to handle much larger jobs (and larger trees) than can many of our competitors in the area. 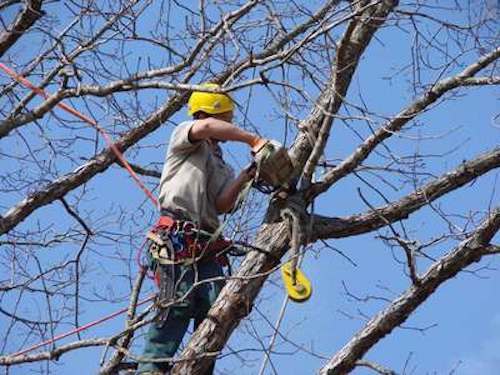 With all this said, due to many of our customers' preference that we do not use our heavy equipment on their property due to potential damage to yard and landscape, we often perform 100% of tree removals using a single climber in a safety harness with three to four ground crew to make short work of limbs and branches. Further, there are times when our heavy equipment will just not fit into tight spaces, such as side and backyards. 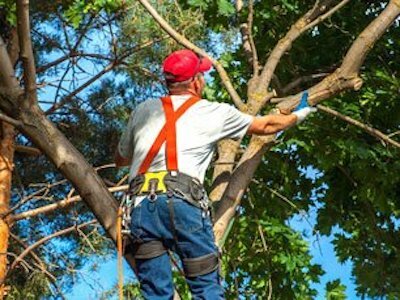 Therefore, we are one of the few tree providers fully capable of performing all of our tree removal services with nothing more than a climbing harness and chainsaws. We service all property types: residential, commercial, real estate investment properties, and large residential/commercial property developments. We take pride in our quality work, and our scalability to support this spectra of jobs. 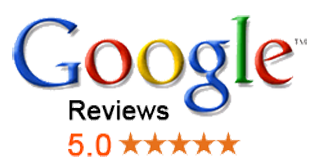 Of course, we perform at all these levels with fair, affordable prices and 100% satisfaction guarantee. Lastly, we take great pride in being the most professional Dayton tree service company in the business. It isn't hard but it does take consistency to call you back promptly; show-up when we say we will; provide a fair written estimate immediately after your request; stick to our appointment schedule, and stand-by our work 100%. We know if we do these things, clients will respond and refer us to their friends and family member. Please, next time you need quality tree care, call the business Dayton residents have trusted since 2001. Below are brief overviews of our tree care services. We provide more detail on each service under the Services menu at the top of this page. And, we provide a vast amount of tree care information in our blog postings. Trees need to be removed for a variety of reasons. The cause could be due to damage, disease, a hazard to property or person, and merely aesthetics. Strong storms often damage trees making them unsafe and unsightly. Diseases, such as canker rot, can cause them to die or otherwise look unhealthy and pleasing in a landscape. Overgrown or ill-planted trees can create landscape issues, such as too much shade preventing grass and other landscape plantings to thrive. Also, please be aware that most homeowner's insurance policies will deny damage claims if the tree was overhanging and making contact with your house. We are expert at removing tree safely and affordably, no matter what the reason. 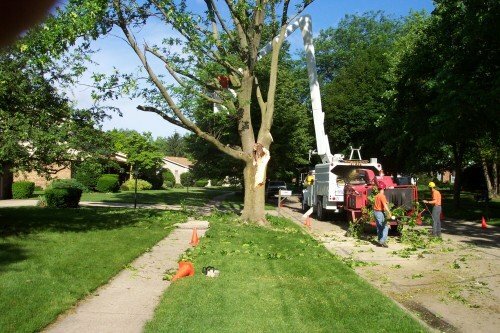 We provide tree removal Dayton residents can trust. Removing a tree isn't overly complicated, however, it does involve experience, expertise, planning, and skill when tree occupies areas difficult to access and/or threaten nearby structures. Regardless of the circumstances, we will affordably and safely remove your tree. The tree removal process starts with one of our management team coming to your home or business to assess the tree to be removed. During this visit, we will discuss options (can the tree be removed without heavy equipment, access points, etc.) and provide you with a verbal quote. Shortly after the visit, we will provide you with a written quote for the services to be performed and our license & insurance information. Also, we will work with you to schedule a time for the job to be completed and ask if you would like to be home or not during the execution of the tree service work. As part of the quote, our tree removal service includes complete falling of the tree, wood removed or stacked, limbs and branches removed and chipped, and a full clean-up of your yard around where the tree was removed. Our crew, which generally include a main cutter along with two to four ground crew members that function to clean the area as the tree is removed. Our chipper will be stationed nearest the tree but always in the street to and will be used to dispose of small branches and other tree debris. It is our guarantee that when we leave the area around the removed tree will looks as if we were never there. Also, almost all tree removal jobs can be performed in one day or less (this does not include stump grinding or removal - that will usually be scheduled for the subsequent day). We are the tree removal Dayton OH trusts. Notice when you drive around, 80% or more trees could use a good trimming or at least a pruning. Nothing makes a tree look worse than being overgrown with dead branches and unshapely in appearance. Trimming can drastically improve the appearance (and health) of most landscape trees. Yes, most home and business owners neglect this fact. Between storm damage and mere neglect, most trees could significantly benefit from a good trimming. We have perfected the art and science of tree trimming. 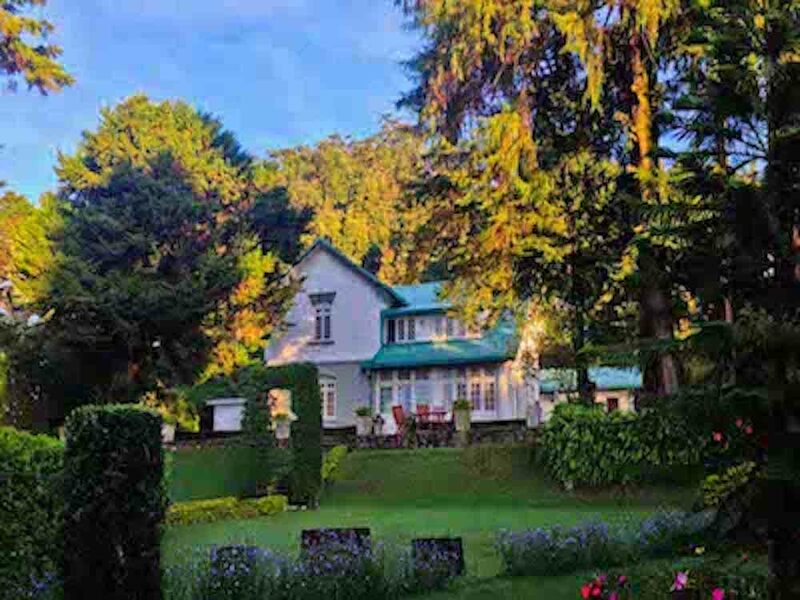 Well cared for trees in a landscape can make a vast improvement in their overall appearance. Like our tree removal procedures, our process for trimming your trees is almost identical. First, we will schedule an appointment to meet at your home or business to assess the tree(s) to be trimmed. Next, we will provide you with a verbal quote for the work followed up with a written estimate accompanied by our licensing and insurance information. Third, we will schedule a time to complete to work that is convenient for your family or business. During the execution of the work, we will most often utilize only one cutter using a safety harness to climb and trim your tree. A ground crew of one or two will remove trimmed limbs and branches to our chipper located at the curb. When the job is complete, your tree(s) will be restored to their former beauty and be healthier as a result. Naturally, we will leave your property as we found it, less a few well-trimmed trees. Stump removal or grinding is the natural next step following tree removal. We provide both removal and grinding services for stumps. Most stumps are in landscapes are eye sores and take away from the overall beauty of your yard and planting. More significantly, tree stumps can harbor a multitude of insects, such as beetles, termites, and ants - making the stump and surrounding area hazardous for your family and pets. Call us for all your stump removal and grinding needs. We utilize the best stump grinding equipment from Vermeer, which can manage the largest tree stumps. 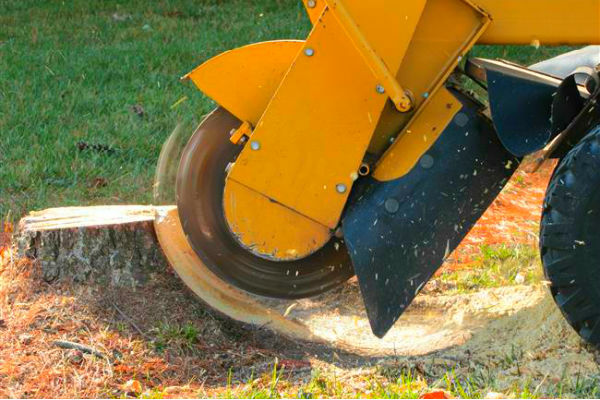 Further, we offer discounts on all of stump grinding services if purchased in conjunction with tree removal. However, regardless if we removed your tree or not, we would be honored to serve you. Like our tree removal and trimming services, we will come to your home or office to inspect the nature of the stump and its location on your property. Stump grinding pricing is largely standard varying according to the size and type of tree. When we meet we will provide you with a verbal quote for the work, followed-up shortly with our office sending you a written quote along with insurance and licensing information. We offer additional stump grinding-related services that we can discuss with you that include: grass seeding, sod laying or mulching. While stump grinding is a rather standard procedure, at we we take the time and effort to minimize what is otherwise a fairly messy job. We do this by clearing the area around the stump to be ground and laying tarps around the area minimizing any damage to nearby lawn and landscape plantings. Lastly, we can, at your request, place the wood chips somewhere else on your property for you to utilize later. If not, we will recycle the woods chips in an environmentally friendly way. Stump removal involved bringing a backhoe on to your property to complete dig up the main root system along with the stump. This procedure is rarely used as it does involve damage to the surrounding property. It is used in situations were further foundational work is to be on the property and the earth needs to be clear of root systems. Usually, stump removal is only done for commercial development jobs. However, we can certainly discuss this option with you during our home assessment visit. Storm damage can create quite a mess and hazard relative to trees. Home and business owners should generally not attempt to clean up large-scale tree damage due to potentially dangerous situations, such as downed power lines, structure damage to home or building, and just the sheer scale of effort involved. We are available 24x7 and seven days a week when Dayton areas are affected by storm tree damage. We are quick to respond to these dangerous and potentially life-threatening situations. Fallen and damaged trees require a professional to assess how best to safely remove the tree in the most affordable method possible. 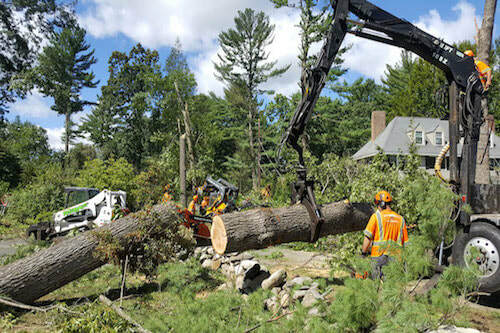 As it is often the case, we may need to use our heavy equipment to remove large trees or limbs from homes and buildings, so once again these jobs are not for the amateur. We provide this service around the clock so you can be assured that your property and landscape will be made safe again, and to restore your home or business to its former beauty. We are one of the few companies in the Greater Dayton area able to take on these kinds of large-scale projects. Clearing lots as well as even larger commercial land development jobs is for only the most well equipped and professional tree service companies. We have all the necessary equipment and tools necessary to make quick work out of these large, intensive projects. We approach these projects like we do all of our work, one tree at a time; but, with these jobs, we keep a larger perspective on the big picture – clearing multiple acres efficiently and quickly. Call us for all your lot and commercial development clearing project. We also work on smaller clearing projects, like backyards or individual residential lots. Due to our experience and equipment, we can affordably and quickly execute these smaller jobs at a fraction of the cost most of our competitors will charge. 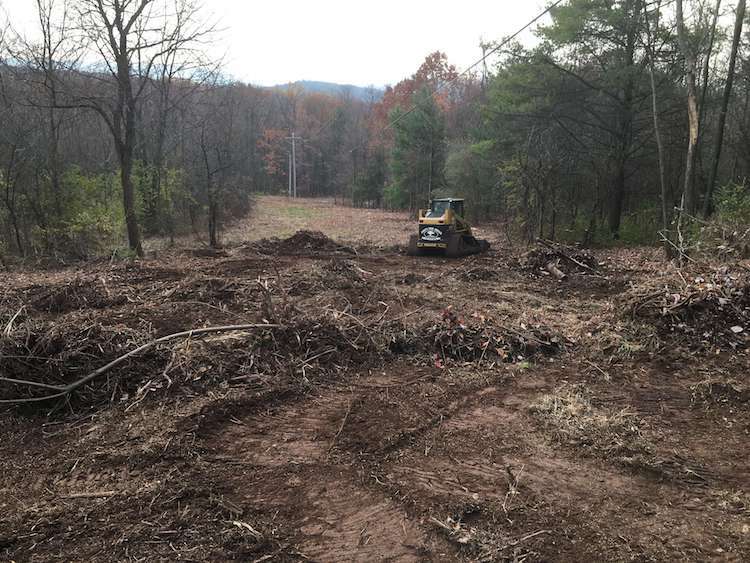 Please call us for any and all lot clearing work you may need done – we are the top choice in the Dayton area for these larger-scale lot-clearing efforts. Call today to discuss any and all tree care services you may require. Of course, we have both green and seasoned firewood for sale. We usually have most types of hardwoods, which is ideal for firewood. We also have some softwood, which while isn't ideal for firewood, it does have its uses. We offer both pick-up and delivery/stacking of firewood. Call today to inquire about the types and quantities of green and seasoned wood that we currently have in stock.